The Student Hotel is supporting Favela United during their #InclusiveWorldCup held in Mozambique simultaneously to the World Cup in Russia. As part of our pledge to help support diversity and encourage a transformative crowd we want to show that while all eyes are on Russia that in another part of the world there are also some passionate, young, excited and talented youths who will also play with their heart just like the teams in Russia are and we will sponsor them to do so. The teams are named after positive messages such as Team Open and Team Pride and promote fair and equal play on and off the pitch. TSH will screen the live matches in The Commons in all Netherlands locations. 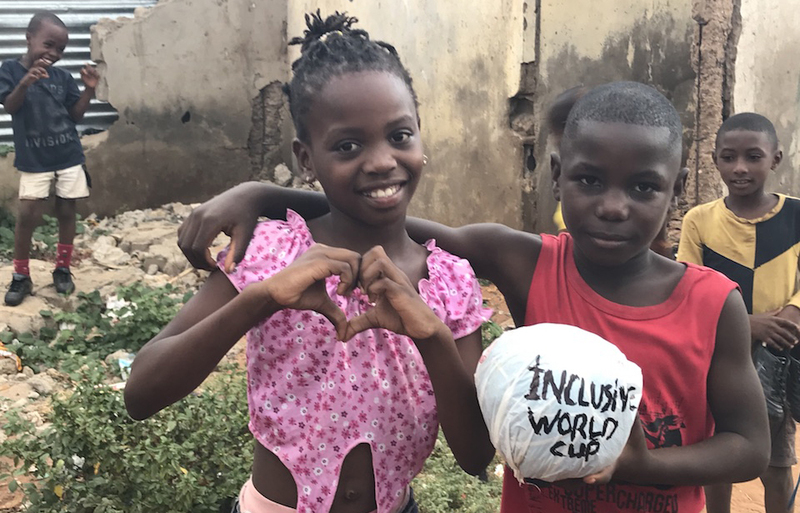 We’ll be showing footage from the Inclusive World Cup in between matches so that our guests and visitors can get a taste of life in Mozambique at the same time as watching the main events in Russia. Favela United has created a grassroots program that teaches young boys and girls about equality, hygiene, social inclusion and trains them in life skills so they can learn how to earn a living and to escape poverty. Each team can be sponsored for €295 or an individual player can be sponsored for €50. We are going to support the kids of Mozambique be #Alwaysonside and work towards equality and life without violence and poverty.